Outsourcing of real estate is on the rise – at least according to consultant EY. Josh Herrenkohl, global real estate advisory services leader at the firm, says there has been a lot of demand from real estate fund managers for administration outsourcing for several years due to rising regulatory costs. The problem, though, had been a lack of supply. The traditional bank-based administrators had not developed a service model appropriate for outsourcing real estate funds. There was a dearth of specialist knowledge, appropriate services and a suitable pricing model. But the past couple of years have seen some high-profile, ‘lift-out’ outsourcing deals between large global real estate funds and asset servicers. A lift-out normally implies a firm selling its platform and people to another provider. Morgan Stanley outsourced the administration of its real estate funds to State Street, and more recently Deutsche Asset and Wealth Management (AWM) struck a deal with asset servicer BNY Mellon. The rationale of these deals for managers and providers is clear. For real estate fund managers, running their own back office is becoming unsustainable, both in terms of technology costs and rising staff numbers. Meanwhile, the administrators are looking to build their real estate businesses because they see it as a high growth market. At $3 trillion (€2.7 trillion), private equity and real estate funds have a similar level of combined assets to the global hedge fund market, but they have higher growth projections. Whereas 90% of hedge funds have already outsourced their back-office operations, only 20%-30% of real estate and private equity funds have so far done so. The question is whether or not the providers have developed a fully mature service model, or whether managers are rushing prematurely into these transactions. Typically these services have been entrusted to specialist property management firms such as Jones Lang Lasalle (JLL), CBRE and others. Interestingly, there is speculation that some of these firms may be looking to upscale their offerings by including fund administration services, a development Herrenkohl thinks could be game-changing. While this may produce more competition in the long-term, he expects complex operational infrastructure to develop in the shorter term. “It is unlikely that managers will be able to outsource all of their property accounting to a single third party, so you may end up with a primary third-party provider and then a whole series of other third parties, all sending data to this overall data integrator, but competing against each other as service providers,” he says. Real estate fund managers will be eyeing the recent outsourcing deals with interest. The BNY Mellon deal with Deutsche AWM was completed in February 2015 and involves the lift-out of back-office operations for more than $45 billion of assets covering the US, Germany and Europe. It is a significant deal both in terms of its size and scope, given that BNY Mellon will also be taking on more than 70 staff. “Deutsche AWM’s alternative and real assets business conducted a review of its business operations and concluded that operating a quality asset servicing unit takes considerable scale,” says Michael Luciano, the chief operations officer at Deutsche AWM’s alternatives and real assets business. Under the agreement, Deutsche outsourced real estate and infrastructure fund finance services, fund accounting, asset management accounting and client and financial reporting. He believes this approach will help the bank not just to reduce its overheads, but also to meet investors’ demands for globally consistent reporting. But it is not without its challenges, the biggest of which could be managing the flow of information from local property managers to the fund managers. “A fund will typically use a multitude of local property managers and there is not one single platform that is used by all,” says Flanagan. For example, while global players such as CBRE and JLL may be widely employed, there may also be specialists that work only with certain types of property in certain domiciles – shopping centres in Korea, for example – and are likely to employ one-off systems. In addition, there are the geographical nuances between regions, from tax arrangements in Luxembourg to the regulatory requirements in Germany. 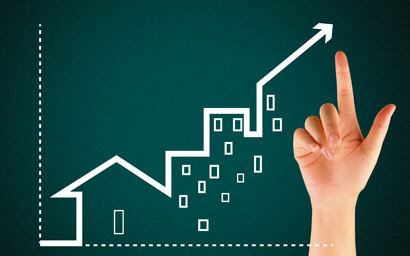 Consequently, the large outsourcing providers will have to strike some sort of balance between the disciplined promotion of a single global operating platform and the recognition that the international real estate market has very little standardisation at the local property manager level. For Dirk Holz, director at RBC Investor and Treasury Services, this means building a platform that caters for the operational multiplicity. “Our platform has an open architecture and a consolidated structure so that property managers can upload their information in various formats. It is very important that they have all the right inputs, because the quality and consistency of the data will be the key piece in the growth of real estate funds. Ideally, the large administrators would also like to have some standardisation of data so that the information they get from local property managers can be uploaded and linked to other risk, compliance and portfolio management systems. Efforts to increase the level of standardisation and automation in real estate fund administration have been in evidence for more than 10 years and are likely to intensify, says van Krimpen. More institutional investors may be pouring their money into real estate funds but the traditional investor base expects a more intimate arrangement, says Bailey. Not only does this mean specialised administrators will not be supplanted by the global asset servicers, it is also unlikely that outsourcing will extend beyond the back office, says Philip Hendy, director of real estate services at Jersey-based fund administrator JTC Group. “The people investing in real estate funds are investing in that manager’s ability and want them to run the performance and be accountable for that performance. I don’t see that changing,” he says. It is a point that Deutsche AWM’s Luciano makes when discussing the challenge of managing the flow of information from the property manager level, stating that both BNY Mellon and Deutsche AWM will work to “ensure the same high level of delivery” as they had under the previous model. “It is important that we retain close oversight of all facets of the fund administration system,” he says.